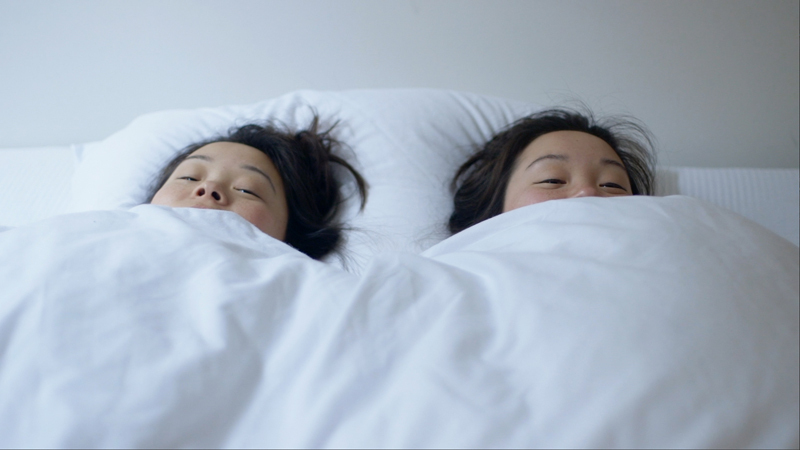 That’s the pitch for “Twinsters,” a new film co-directed and shot by Ryan Miyamoto. The documentary premiered last week at South by Southwest and was named one of the film festival’s “Breakout Movies” by Variety magazine. Not bad for a guy who grew up in Kuliouou, surfing Maunalua Bay. Miyamoto knew he wanted to be a filmmaker when he was 8 years old, following in the footsteps of his uncle, Mike Prickett, a legendary cinematographer. 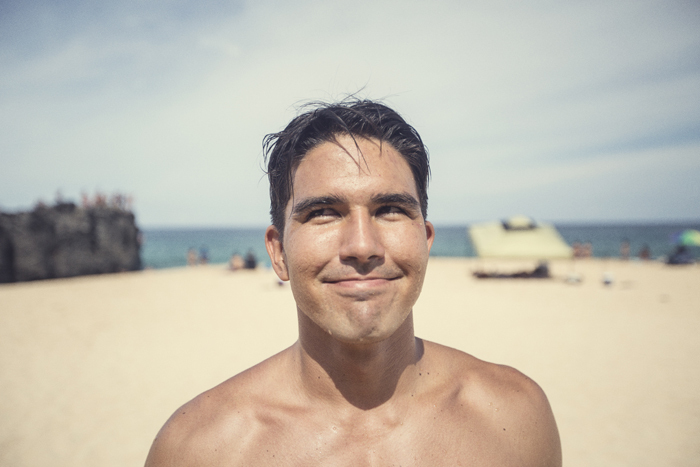 Prickett told Ryan his job was to travel the world and film people surfing. Ryan was blown away. Cut to 2013. After a burgeoning career as a cinematographer, Miyamoto was referred by a friend to work on “Twinsters.” What was supposed to be a couple weeks of shooting turned into a two-year odyssey. He relocated to Los Angeles to follow the emotional reunion of two adopted Korean girls—one living in LA, the other in London—who believe they’re twin sisters. The journey took him from California to London to Korea. I talked to Ryan about his experience on the film and how a seemingly random encounter could change your life. Describe what it felt like in the theater for your SXSW premiere? I felt so nervous, so sweaty and so nauseous. Having over 300 strangers watch your movie for the first time is a surreal experience. It was the first time we would get a real reaction to the film by people who weren’t emotionally invested. How did you get involved with “Twinsters”? My friend Yamato Cibulka. He worked with Samantha Futerman previously on the movie “Man Up.” When Yama heard about the project, he referred me as a director of photography. The next day I Skyped with Sam, and the next week I was in California. You’re the cinematographer and co-director on the film with one of the girls, Samantha Futerman. What was your working/directing relationship like? The working relationship was horrible. Just joking. It was great. We both fed off of each other’s energy and made decisions that we both agreed upon. It was almost a yin and yang relationship. “Twinsters” would have never happened without social media. Did you integrate technology into your storytelling? Technology was very much integrated throughout the film. 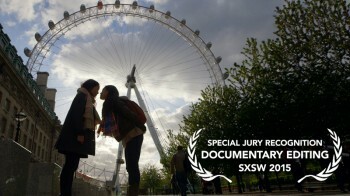 The first act of the film is narrated through text, Whatsapp, Facebook Message and Skype sessions that the girls had until their first reunion. Sam and I wanted the audience to feel as if they were on the journey with us, discovering the love story as it was unfolding in real time. How did you feel, watching this reunion unfold? I felt really awkward watching the girls’ reunion (laughs). You have to watch it to understand. How did you feel after the premiere? Two years of filmmaking all came down to this one moment… and it went great. The crowd laughed when we wanted them to laugh and cried when we wanted them to cry. We even had grown men crying in their seats. Now that’s a great reaction. 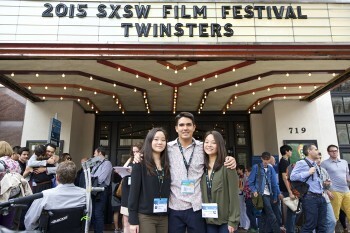 “Twinsters” won a Special Jury Recognition for editing. How did you manage to shape this story with all the footage you shot? Sam, Kanoa and I sat down for a week or two labeling cue cards with all the monumental events that took place throughout the journey. We wanted to make sure that the story was being told and not make a 6-hour piece. We nailed down all of the important events and I assembled them into a timeline. Then Jeff Consiglio came on the project and helped us shape and finesse the film into what you see now. He helped us really get out what we wanted the film to say. 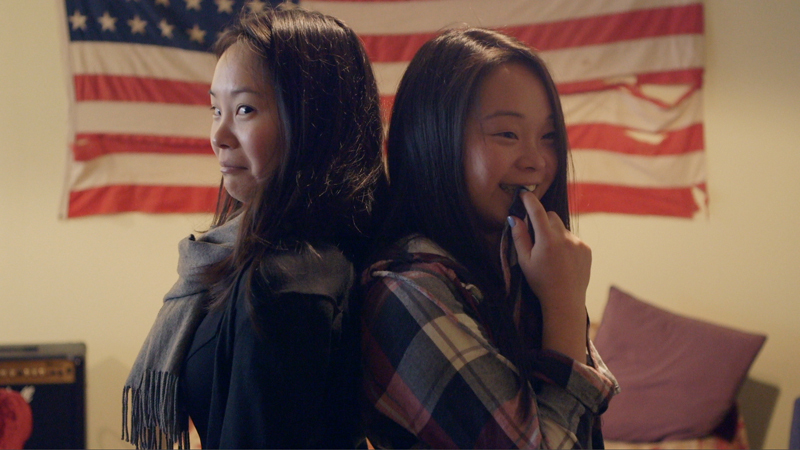 What was the biggest thing you learned from shooting “Twinsters”? The biggest thing I learned was to always trust my gut instincts. It made me a better decision maker and a more confident person. 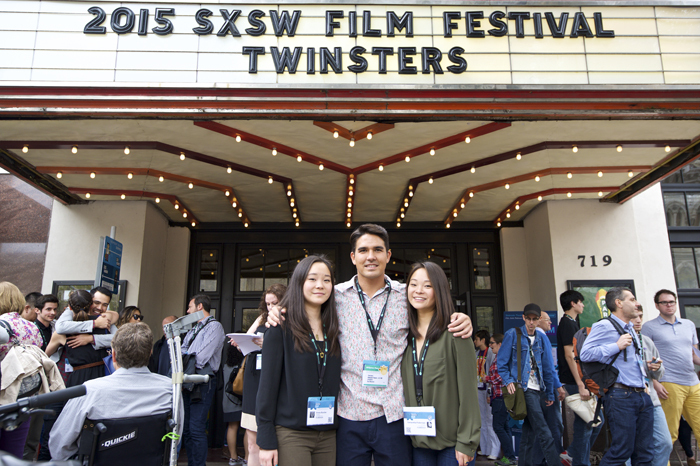 It was a big year for Hawaii at this year’s SXSW. POW! WOW! Hawaii was there. Longtime Hawaii actor and voice talent Krisha Fairchild starred in “Krisha,” the Grand Jury prize and Audience Award winner. What was your SXSW experience like? SXSW was overwhelming in a good way. From music to tech to movies, we were surrounded by the best in the business. And I loved the people in Austin. Everyone was so nice and sincere. They felt like the people in Hawaii. Also the food was AMAZING! I think every day I had a beer, some sort of queso and probably some tequila to wash it all down. It was great. I’m still hungover I think. And I never want to eat queso again, except all the time. What does “Twinsters” say about family? Family has no boundaries. Family is whomever you choose to accept into your life. Distribution. Fingers crossed. We want everyone to be able to see the film. I’m in pre-production for a movie with producers Yamato Cibulka and Kenji Doughty. The film centers around a story set in ancient Hawaii. I’m also working on a documentary about my mentor, Mike Prickett, who became paralyzed on an underwater film shoot after risking his life to save another diver. What do you love most about filmmaking? When you meet me in person, I don’t really talk that much. Filmmaking gives me the opportunity to show who I am through the images I create. Give aspiring local filmmakers ONE piece of advice. Always trust your instincts (except when it craves queso).